It only takes around 2-3 weeks for a bag of freshly-roasted coffee beans to start losing flavor. It doesn't matter how rare the beans are or if you use the best coffee brewing equipment - coffee is at its most delicious state when consumed within 3 weeks of roasting. Fresh is always better. Most Filipinos still get their coffee from either Starbucks or the nearest local grocery store. For obvious reasons, coffee bought here show an expiration date rather than a roasting date. That's because these coffee beans are well past their roasting date after sitting in the shelf (or warehouse) too long. While the beans still taste decent, a lot of flavor has already been lost. You deserve to enjoy better quality coffee. Great coffee starts with the beans. Here are three Philippine specialty coffee roasters that will deliver world-class, freshly-roasted specialty coffee directly to your door. 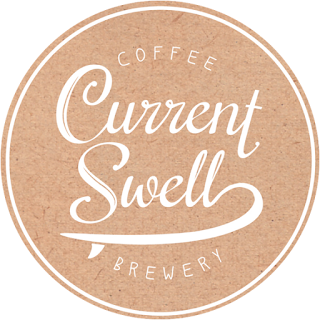 Current Swell Brewery is a roasting company based in Ortigas, Philippines. They offer freshly-roasted specialty grade Arabica coffee from around the world at very affordable prices. Their Sagada Fair Trade Coffee Beans and El Salvador San Emilio Estate Coffee Beans are my favorite. If you drink as much coffee as I do, Current Swell has sweet deal since they 500g coffee bags at very affordable rates that is on par with a price of a Starbucks bag of coffee beans. For the full price list, please see below. Just click on the image to order. They also ship worldwide. Kalsada is a Seattle-based coffee roaster that champions Philippine specialty coffee. They began a Kickstarter Campaign to pursue their dream of bringing Philippine specialty coffee to the international stage and raised $18,056 from backers worldwide. Lacy, their head of coffee, is an accredited Q Arabica Grader from the Coffee Quality Institute. I personally love the Baldino Family Single Origin coffee beans from Benguet. Ah, coffee with notes of papaya and pineapple. Delicious! A little known fact is that they also sell their coffee beans at 250g bags in the Philippines for Php500. Shipping costs are Php60 (Manila rate) or Php100 (Provincial rate). YKW Roasters is a specialty coffee roaster focused on premium specialty coffee offerings from award-winning farmers and trade partners from around the world. They offer a premium subscription service that delivers freshly-roasted coffee straight to your door. All their coffee are absolutely delicious, but my personal favorite is the Ethiopia Yirgacheffe Single Origin. For the monthly subscription prices, please see below. Just click on the image to order. My favorite Philippine Specialty Coffee Roaster is certainly Kalsada because of their passion for quality Philippine beans. I fully support their mission to bring Philippine coffee to every home across the globe. A close second is Current Swell Coffee given their more diverse and affordable coffee beans from across the world. YKW Roasters do not disappoint, but their monthly subscription service is a bit too premium for my taste. 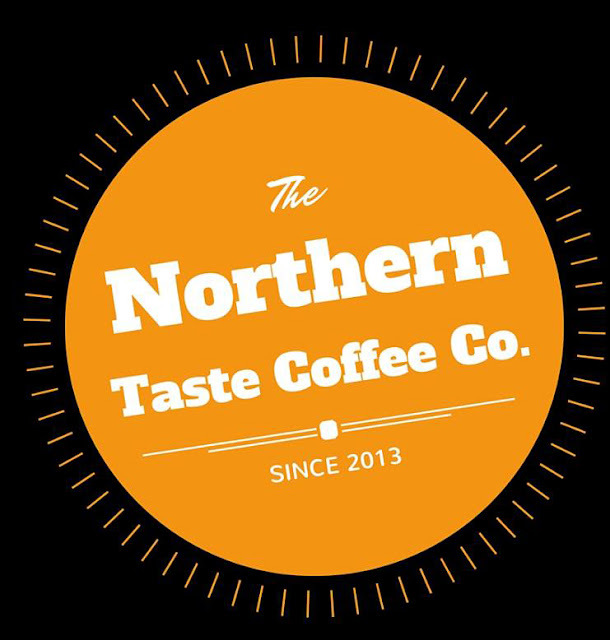 The Northern Taste Coffee Co. is a local coffee roaster that delivers both green and freshly-roasted coffee locally-sourced beans all over the Philippines. As long as you place your order before 1PM, they start roasting and packing your order within the day so that they can deliver your coffee by the next day. Looking over at the coffee order form on their website, they offer the most affordable coffee beans from all the coffee roasters in this post. The only caveat here is that not all the coffee they sell is specialty grade, but in saying that I think a lot of Filipinos who are not into expensive third wave coffee would love having a more affordable option for freshly-roasted coffee beans. It's far tastier and cheaper than the coffee beans you'd get in the supermarket and you can choose whether to have your coffee whole bean or ground (Always order whole beans and get a good grinder). It's also very convenient because they deliver the beans right to your doorstep. After months of testing, by far their Arabica Sagada Origin Medium Roasted Coffee is my favorite because it's the closest to specialty grade coffee beans. They sell a 500g bag for Php 420 and you can even get a 1kg bag for only Php 630. That's a lot of coffee for bargain prices! Highly Recommended! Now it's time to order a bag of quality, freshly-roasted, specialty coffee beans in the Philippines. If you want to know how to brew a quality cup of coffee and where to get the equipment you need, read coffee gear that will instantly help you brew a better cup. Show some love. Feel free to share this article with your family and friends. You should try them. The Philippine specialty coffee scene has been booming as of late. These roasters are just the beginning and I hope you like their delicious Arabica roasts. Thank God I found this article! I've been looking for coffee roasters in the Philippines! I'm so happy this article helped you find a roaster! Let me know which beans you loved once you try them out! Haven't tried them all yet. I still have a stock of coffee beans at home. Anyway, I wrote an article about my experience when I attended the Brewing 101 workshop. I included a link to your site in my article. Hope you'll like it, too! Wow, Thanks Abby! I'm currently enjoying a cup of Current Swell Amihan espresso and Yardstick's Shakisso single origin. I don't have an espresso machine, but both beans taste great over aeropress, pour-over, and cold-brewed. Great post on the fundamentals of brewing coffee Abby! I'm glad you were able to discover a class while visiting my blog. Yardstick also offers great classes on coffee, and it's where I took a class of "Tasting Specialty Coffee". They also offer free cupping sessions every 2nd and 4th Sunday of the month. You should drop by! Hope you can try these out soon! Filipino Coffee! Tangkilikin ang sariling atin! Filipino coffees are great but underrated. It would be nice to have government support in boostin promotion of our coffee industry. Yes, please support! 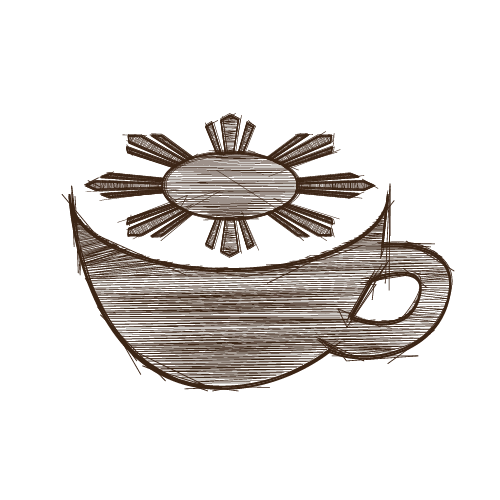 :D As for the government, I do hope they realize the potential for Philippine coffee. They kind of do, given that it's actually one of the products they identified they want to develop in the Investment Priorities Program (IPP) last year. Gracia! Hope you do try these, especially Kalsada and their out-of-this-world-Philippine-coffee. They are amazing roasters. Nice! I'll check out Kalsada. Glad, i stumble on this little nugget site of yours chef!, i'am a coffee lover too. Question, how much coffee do you store for your daily consumption? Since you mentioned it only takes 2-3 weeks since it's roasted to enjoy it. Do you roast your own beans? Btw, thanks for Michael Philipps video link..learned a lot and will try to apply it for a better coffee everyday. hahaha..